Did you gain weight over the recent holidays? Or maybe the pounds have just been steadily increasing over time, and the extra weight just won’t budge no matter what you try? 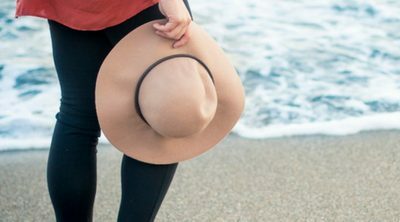 We know that all that holiday “hustling and bustling” can throw your stress level out of whack? And if you are experiencing any of these, you are not alone. The holidays are filled with fun, festivities, and family – but they can also leave their mark on your waistline if you’re not careful. You probably already know that year after year, people resolve to lose weight. Setting healthy weight loss goals is a common resolution, but the problem is that many of these resolutions are quickly abandoned. So, year after year (after year), they make the same New Year’s resolution because they never achieved their former goals. Has this ever happened to you? What will you do differently to realize your goals this year? You can’t gauge progress if you don’t know where you started. When you set a goal – for example, losing 10 pounds – weigh yourself at the beginning and then at regular intervals to track your progress. Use a system to track this. There are many apps you can download to help you, or simply keep a written log. Caution: don’t obsess over the scale. Also focus on how you are feeling, your energy level, and the way you look. These are also great “measures” of success. Set your goal within a range that you can accomplish. If it helps, stagger your goal into smaller milestones. A quick win is what you’re shooting for. This will help motivate you to keep moving forward as you see the results of your hard work paying off. Rather than compare yourself to others, set a goal that is realistic for you to achieve. Understand what your body is capable of doing and work with what you have. You’re not competing with anyone; only trying to become the best version of yourself. Your goal will be more achievable if you track it. Keep your goal in the forefront of your mind by focusing on a target date. Seeing your target date on the calendar will be a motivator to move your forward. 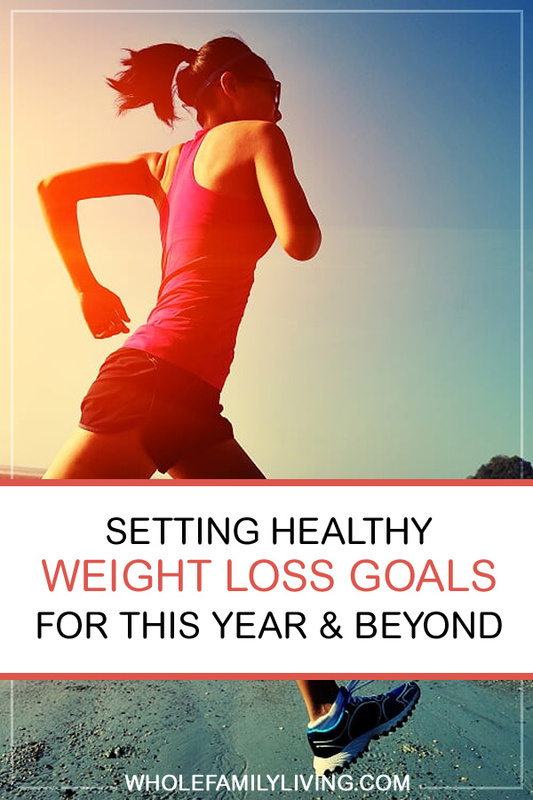 In addition, here are some more tips to help you shed pounds and succeed with your wellness goals for the upcoming year (and beyond). 1. Create a sustainable plan. Know that there is no perfect weight for everyone. How much weight do you want to lose? Break your total down into a series of smaller attainable milestones. For example, “I plan to lose ____ pounds by ____ (date).” Make your goals realistic, and then follow a plan of diet, exercise, and other healthy lifestyle changes to achieve them. Set your overall goal and then outline a few objectives (or steps) that you’ll need to have in place to get there. If you’re unclear how to do this, consider working with a health coach who can help you get clear and stay focused on your goals. Be flexible with your plan. Goal achievement is not usually a linear process. While some may appear to be taking the Beeline, most of us are on a scenic path. Remain focused on your goal, but also allow room to accommodate anything that may come up in your lifestyle. Write your goals down somewhere visible, and review them every day. When you’re striving towards a weight loss goal, it is important to look at your diet. What foods are you consuming that may be sabotaging your weight loss efforts. Keep a record of your eating patterns. What’s going when you reach for that bowl of ice cream at midnight? Are you tired? Stressed? These factors and more are related to achieving a healthy weight. Reducing your daily calorie intake will require healthy eating choices. If you’re more of a “numbers person,” consult a registered dietitian, nutritionist or your physician for recommended nutritional guides, and choose the one that works best for you. Use the right tools. You might like the idea of downloading an app to help nudge you along. There are many to choose from including apps that track your habits as well as ingredient checkers. The key is to use tools that are comfortable for you and that you will actually use to stay on track with reaching your goals. Setting healthy weight loss goals involves making changes in more than one area of life. 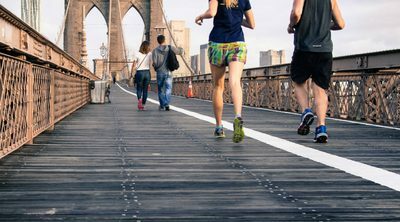 Starting a physical activity schedule is a definite tool to add to your plan. Develop a reasonable exercise schedule that works for you. Start off with less (remember, baby steps) and work your way up from there. Consult with your physician before you start any exercise program. Keep your exercise goals realistic. Start small if you need to, and then increase your regimen’s to more intensity, frequency, and duration. For example, if your goal is to run 5 miles, you might start by walking 1 mile. Do what’s feasible for you and start where your body and fitness levels are. Starting off at a slower pace is a smart way to approach your goal and helps build up some stamina and confidence, one mile at a time. Setting goals that are too extreme and outside of your normal activities will only be discouraging and make you abandon course. 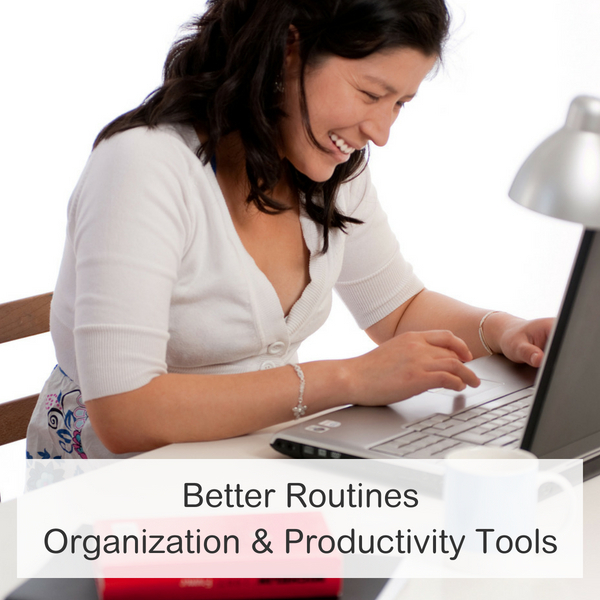 Start off with activities that are closely aligned with your usual routines. By working you’re your current resources and schedule (rather than doing a complete overhaul) you have a better chance to succeed. So, instead of joining the CrossFit way across town; start by exercising in the park that’s on your way home from work. And start small! Build up your time and stamina so you will be able to stick to the new habits and reap the benefits of maintaining a healthy weight. Exercise a little bit each day or multiple times per week to increase your energy and help you become healthier. There are many ways you can do this without investing in a gym membership if gyms are not your favorite place to hang out. Consider affordable at-home equipment, walking in your neighborhood, or that park I mentioned earlier. Get creative and make your new routine something you look forward to doing! Accountability is a definite key to successful goal achievement. Get friends and family involved. The people who are most successful in losing weight (or achieving other goals for that matter) are the ones who have support. Tap into your natural support systems and enlist cheerleaders to help keep you accountable and motivated. Your Pep Squad will help you to remain focused, and who knows, they might become workout buddies to motivate you even further along your journey. Celebrating your milestones with others will make them that much more meaningful. Some people find it helpful to have professional support as they tackle their wellness and fitness goals. You might join an online group or consider hiring a health coach to help you set and achieve your goals. 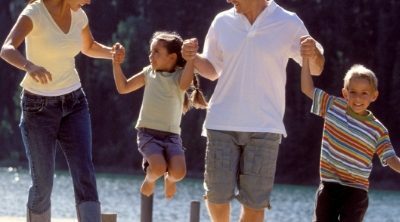 Our coaches at Whole Family Living are Certified International Health Coaches. If you feel you need professional support to get on track, set up a call with one of our Certified Health Coaches. We are your partner to help you become a healthier, happier you this year! Getting healthier shouldn’t be hard. And achieving a healthy body weight doesn’t have to be something you put on your wish list. With a few simple steps and smart strategies, a healthier, leaner, more energized and less stressed you could be right around the corner. All of this is possible for anyone who approaches it with a clear vision in mind, a solid plan, and the right support system. With some careful preparation and determination, your healthy lifestyle goals can certainly become a reality. Do you need support in building a healthier lifestyle? Contact me for a free consultation to see if Lifestyle & Health Coaching may be a good fit for you. If you’re interested in psychotherapy, I no longer offer these services, but I’d be happy to refer you to a colleague. 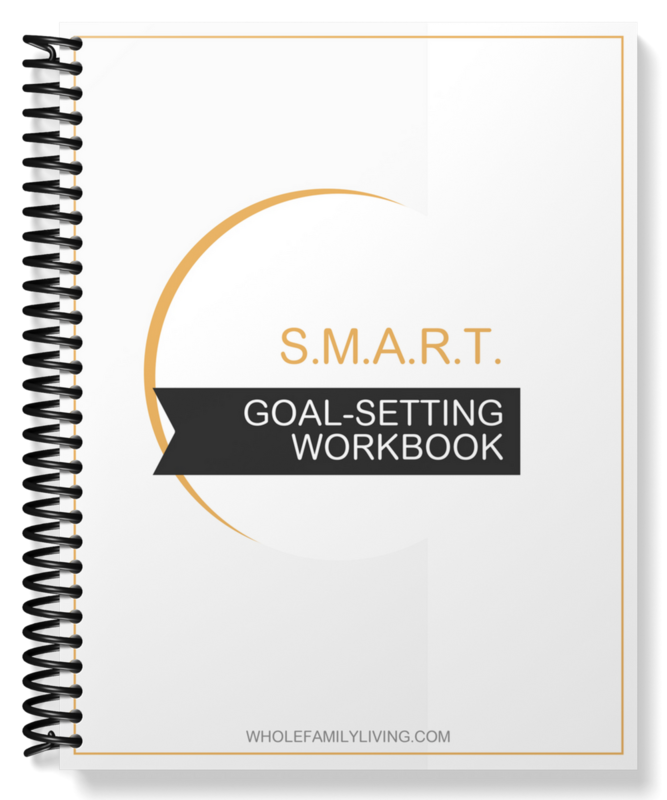 Get our SMART Goal Setting Workbook Free with your newsletter subscription. Ready to set smarter goals? Get our SMART Goal Setting Workbook Free with your newsletter subscription. YES! I WANT SMARTER GOALS! Enter your details below and we'll send the workbook right over.